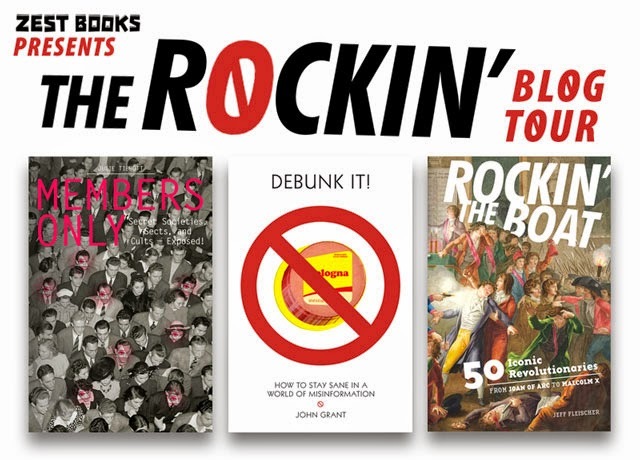 As part of the Zest Books Rockin' Blog Tour, I'm reviewing the book ROCKIN' THE BOAT, giving a copy away, and interviewing the author Jeff Fleischer. I previously covered author John Grant. 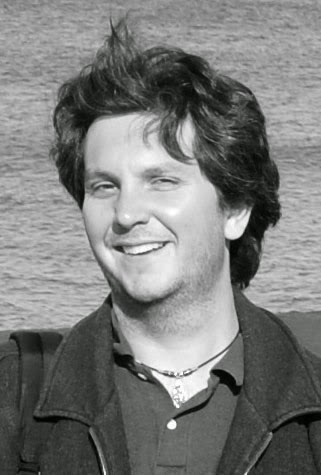 Jeff Fleischer is an author, journalist, and editor who is currently working on a book on climate change that he researched as an Alicia Patterson Fellow in New Zealand. He's written over two hundred articles for publications such as Mother Jones and Mental_Floss. ROCKIN' THE BOAT is his first book of nonfiction for teens. 1. Have any revolutionaries inspired you personally? Several of the people in the book are revolutionaries I always found inspirational. Nelson Mandela's the most obvious one because I remember watching him leave prison and followed his whole second act in life, but also Martin Luther King Jr., Cesar Chavez, Gandhi, Kate Sheppard, and a few of the others. 2. Who did you most regret not getting to include in the book? If I have to pick just one, I'll say George Johnston, who led the Rum Rebellion in Australia. There were also a lot of people I regret having to leave out who were more influential, but his story would have been fun to write about, and I'm unusually interested in Australian history. 3. Were you unfamiliar with any of the revolutionaries before researching for ROCKIN' THE BOAT? I was at least reasonably familiar with everyone in the book, but there were a few I had to learn a lot more about before writing. For some, like Garibaldi or Arminius, I knew about their revolutionary actions, but didn't know much about their early lives. 4. The revolutionary profiles are accompanied by terrific pictures. How were those images found? The publisher did some research found a round of images we were allowed to use in terms of royalties. I went through them and found a few replacements and made a few suggestions, but the vast majority of the credit goes to the publisher for finding great photos we were able to use. 5. What do you suggest inspired readers of ROCKIN' THE BOAT read (or do) next? Hopefully they'll find a few favorites -- or at least a few who are their favorites to read about -- and go read more about them. One of the hardest things about writing a book like this is trying to condense the lives of such accomplished people into a few pages each.